You have done your homework and researched the right breed of dog for you. You have also found a breeder that is reputable, and now you need to figure out how to choose a puppy from a litter. Choosing a puppy is a very exciting task, but one that should not be taken lightly. The puppy you choose will be a part of your family for a long time, so you want to make sure that you choose the right puppy for you. There are certain things that you need to look for and consider, when picking from a litter of pups. I will discuss below what you need to know so that you will be confident in finding a puppy that matches you. Puppies are a huge commitment, and they require a lot of time and patience from you. Depending on the breed you have chosen, that puppy will grow up to be a dog that lives on average 10-15 years. You need to make sure you have the time it takes to spend with your new family member. The first year of puppy hood can be the hardest and most challenging, especially if you are a first time owner. A puppy will need to be trained, and requires consistency and patience from you. Certain breeds require more exercise and have higher energy levels that need to be met, and you need to take that into consideration. Some breeds crave human interaction more than others, and do not do well if left alone for long periods of time. If you are an active person who enjoys being outdoors most of the time, hiking, running, jogging, swimming, cycling, etc., then you will be happier choosing a dog breed that is highly active as well. If you are the type of person that is not home very often, then you should not get a dog that craves human interaction. Determining what your lifestyle is, and how a puppy/dog will fit into it, should be your first step in choosing the right puppy for you. Some people know right away if they want a male or female dog, to some it doesn’t matter, they have no preference, and to others it can be a hard decision. There is little difference between a male and female when they are puppies, they are equally lively and playful. Size is really the only difference at this stage, male puppies are slightly larger than females of the same litter. Puppies don’t stay puppies for long, and you need to consider the differences between male and female. Differences can be more noticeable when males and females reach their sexual maturity. An un-neutered male will tend to roam and run off, and an un-spayed female will come into heat. 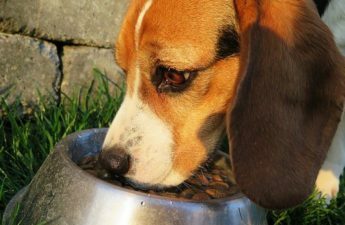 You may choose to neuter your male dog, or spay your female dog, and the cost of these procedures will differ in price. Female spaying is generally more expensive, and it is more invasive. Female dogs mature faster than male dogs, and many people say male dogs are more hyper-active than females, and are harder to train. This is a generalization, and could be different among breeds. Some people choose the gender of their dog based on size. A female dog will be smaller than that of a male dog in the same litter. I have heard the saying that female dogs are more independent than males, and that males tend to be more affectionate. Again, this is a generalization, and could be a myth. 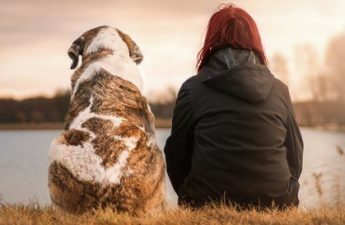 Many dog owners have a natural preference for either a male or female, and this can be based on their past experience, or their perception of the temperament of male and female dogs. Preference for one gender over the other can be based on appearance, or sometimes for reasons that can’t be explained. When you have found a reputable breeder, it is very important to visit before you even choose a puppy. You want to see where the puppies are living, how they are taken care of, and meet the parents of the puppies. A reputable breeder will be happy to welcome you to see the puppies surroundings, and to show you around. This is your chance to meet with the breeder and ask questions, and see firsthand how their dogs and puppies are being handled. A good breeder will be very knowledgeable about the breed, and should know all the standards and temperament of the breed. The first visit with the breeder will be a chance for them to ask you questions about yourself, and your lifestyle. A good breeder wants to make sure that their puppies are placed into loving and responsible environments. Spend some time with the parents of the puppies. Check their health and temperament, and see if they are happy and healthy. The personality of the parents will determine how your puppy will develop once grown. How long have you been breeding this particular breed? A good reputable breeder will have several years of experience breeding dogs, and will have many references, and will not hesitate to give them to you. What is the health history of the puppies parents? You will want to know whether the parents have been tested for common diseases that are associated with their breed, and you will want to ask about any genetic diseases that are prevalent in the breed. 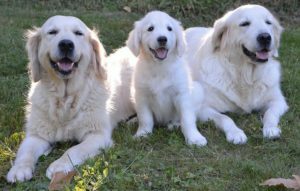 An example would be if you are getting a Golden Retriever, you will want to know if the mother and father have been tested and cleared for Hip and Elbow Dysplasia, which is common in that breed. The breeder should be able to list several characteristics of the particular breed, and will be able to tell you if this breed is good with children, seniors, other animals, etc. They will be able to tell if this breed is a match to your lifestyle. Will the puppies be examined by a Vet before they leave? Puppies need to be examined by a vet before they leave the breeder. They will need to be dewormed, and vaccinated at certain intervals in order to prevent being at risk of contracting life threatening illnesses. The breeder should give you the puppies medical record as proof of getting all necessary vaccines and dewormings. A good breeder will offer a health guarantee on their puppies, and the guarantee should ensure that the puppy is in good health, and it should offer reasonable terms in the case of a genetic disorder. 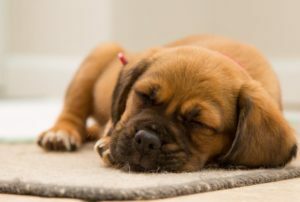 A responsible breeder will often help the owners when their puppy becomes ill, and may offer a replacement or refund if the puppy dies, or must be put down. Is there a return policy/refund? The breeder will have a contract for you to sign, which protects the buyer, breeder and the puppy. A good breeder wants what is best for their puppies and dogs, and will often have a return policy in their contract, so that if the owner for any reason can no longer keep or take care of the puppy the breeder will take the puppy back. At what age can I take the puppy home? The most common age for a puppy to go home with their new owner is at 7 to 8 weeks. This age is the most important time in a puppy’s development, and is called the formative period. 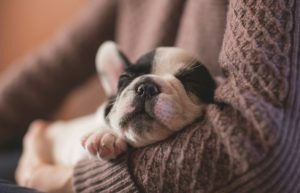 This is the best time for you to create a strong bond with your puppy. 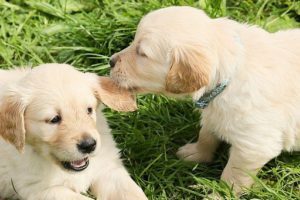 When it comes time to choosing your puppy from a litter, you will want to take your time and watch each puppy closely, to see how they play with each other and how they act. Each puppy has a different personality that can be judged in the early weeks, and the personalities that puppies show will be signs of what their future personality and temperament will be like. This puppy will likely be the largest puppy of the litter, and may already show signs of being the alpha puppy in the group. This puppy will push the other puppies out of the way in order to get food, and will instigate games and play fighting. The boss puppy will likely be the puppy that is trying to climb out of the enclosure to escape. This shows determination, intelligence and will power. 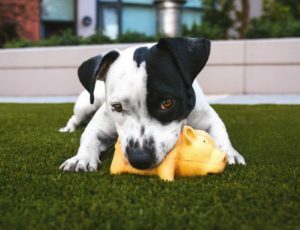 This puppy will likely grow up to be a bold and outgoing dog, and will need a confident and experienced owner, that has time to challenge this puppy. The rebel is a quick thinking, energetic and fun-loving puppy. Just as playful and full of energy like the boss puppy, but more sensitive and less aggressive. Rebel puppies turn out to be personable, without being stubborn or headstrong. They make a good match for active owners, or families with children. 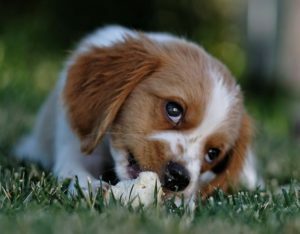 This type of puppy can be seen interacting and playing with the rest of the litter, and also happily playing with a toy on its own. A puppy with this personality would be suitable for a calm and stable environment, possibly a good match for older owners without children. Always happy and excited, the eager to please puppy will be the one that is trying to get your attention. This puppy is one that is fun to be around, and can be easily trained. These puppies are wonderful companions, but will require an owner willing to train and give direction. This puppy will simply do what it wants when it wants, and likes to balance sleep, interaction and play. 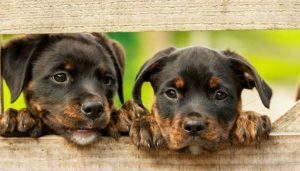 Puppies with this personality are often less intelligent than their other active siblings, and require some creative motivation from their owners. This puppy would be suitable for a relaxed home environment, and are not very ideal for the type of owner that is controlling. Not every litter will have a runt, but this puppy is the smallest one of the litter. This puppy needs special care and attention to make sure it gets enough food. This puppy is often pushed out of the way and left out by the other puppies. The runt is the smallest puppy of the litter, but that doesn’t mean it is the most submissive. Runts have to fight for their food, and learn how to protect themselves, this puppy could grow up to be the most outgoing, and dominant puppy in the group. This puppy will be the one that keeps away from the rest of the litter, and will watch from a distance. When the rest of the litter comes to you, the shy timid one will be the puppy that is fearful and might be hiding in the corner. A shy puppy might appear to be sweet and sensitive, but they will need a lot of time and patience in order to boost their self-esteem and get them comfortable around others. This puppy is more suitable for single owners who have the amount of time needed to give them training and attention. Probably not suitable for families with children. After you have observed the puppies, some of these different personalities may seem obvious to you, but some may be harder to spot. If you have a personality type that you really want then talk to the breeder, as they will have a better understanding of what the puppies are like. Most families will do best with a puppy that is not too bossy, and not too shy. Look for a puppy that is somewhere in the middle, a happy good-natured puppy that comes up to you with excitement. Make sure to interact and play with each puppy to see how they respond to you. Pick up each puppy and hold them in your arms, cradling them like a baby. If the puppy tries to wiggle its way out of your arms, that is a sign that the puppy is more dominant, and more of an independent thinker. A puppy that is relaxed in your arms is more easygoing and submissive. Another test you can do to determine whether the puppy is more dominant or submissive is by holding the puppy in the air and looking into their eyes. If the puppy tries to wiggle and move around and look away, it is more dominant and independent thinking, and an easygoing submissive puppy will look at you and not move around. Touch the puppies on the paws, ears and mouth to see how they react. Puppies that have been handled from an early age will not mind being touched. Try calling the puppy to you by snapping your fingers, to get the puppy’s attention. A puppy that comes to you quickly might be an eager to please puppy, and a puppy that doesn’t come to you right away and gets distracted, might be an independent thinker. Be sure to look at each puppy to check their overall appearance and health. Puppies should have clear, bright eyes, with no discharge. Their ears, teeth and gums should be clean as well. There should be no discharge coming from the puppy’s nose, and a puppy should not be sneezing or coughing. The puppy’s coat should be clean, and shiny. There should be no bald spots, or red irritated areas. A healthy puppy will have a sturdy body, not too skinny and not fat either. The puppy should have a playful energetic behavior. 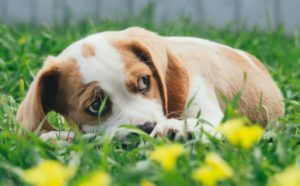 Playfulness has a lot to do with personality, and each puppy will be different, but a puppy that shows no interest in you, or its surroundings may be sick. Check the puppy’s hearing by clapping your hands, or dropping something on the ground behind them to see if they react. Do a vision test by putting a toy, or treat on the ground near them, and make sure that they can see it and find it. Hooray, you have chosen your puppy from a litter. When you first see all the puppies, it can be a hard decision, especially when they all look alike. But when you take the time to observe and handle each one and talk to the breeder to determine the right puppy for you, it is very exciting and you should now be feeling confident in your choice. I hope you have learned a lot from this article, and you are well-informed in choosing the right puppy for you. Have you picked your puppy from a litter? What personality type did you choose? I would love to hear from you, please leave a comment below. How to Choose a Puppy from a Litter is a systematically written blog providing helpful guidelines for selecting and bringing a puppy home for the 1st time. I do not have a dog and never dared to have one. I cannot afford time and offer good care to them. This post offered me the depth and breadth of learning experience if I ever need to choose to bring one home. Every puppy from a breed comes with a very distinct personality, that can be a match or mismatch with you, your family atmosphere. Choosing male or females seems the easiest one. When you are bringing a puppy home,checking its health, vaccination record should always be mandatory. The absolute compatibility of the puppy’s personality with the owner will lead to less aggravation a happy family. Selecting a puppy can always be a challenge when it is preferred to get them at 7-8 weeks old stage. I enjoyed the details of this post on getting a puppy home, selected based on information you need. It definitely serves as an all-in-one kind of information reservoir in this aspect. Thank you for your comment Anusuya. I am so glad you enjoyed my article, and I really wish that more people would be able to realize that they do not have the time, or money that it takes to take care of a puppy. So many puppies and dogs are put up for adoption at local shelters because people cannot take care of them. I wrote this article so that people will understand the importance of choosing the right puppy, making sure it is compatible with them and their lifestyle and personality. If you are getting your puppy from a breeder this is an excellent guide! I’ve been rescuing animals for too long to opt for a breeder but, that doesn’t mean I disrespect other people’s choice. Everyone has heard at least one horrific ‘puppy mill’ story in their lives but, there are really great reputable breeders out there too. You gave people all the right questions to ask! The dominant/submissive test is also awesome if you are thinking about having human children and not just fur babies! It always breaks my heart when someone has to find a forever home for their beloved dog because it and a human child were incompatible. Thank you so much for your comment. I agree with you 100% about the wealth of knowledge the internet provides us with, and there is no excuse for anyone not to research the breed of dog they are looking for. Getting a puppy, or rescuing a dog, is not just for a few days or for a short time, it is for the life of the dog!! Many people do not realize that, and that makes me sad for the poor dog, and angry. Hi Jenny, I love your passion for puppies and making sure that human and puppy get well matched up. I had no idea what I was doing when I adopted a young female dachshund after she was rescued from a drug house. I can appreciate how first time dog moms would benefit from your advice and go to a reputable kennel to get off on the right foot. I was lucky with my rescue, but I don’t know if I would do it again. Do you have experience with rescuing pups or do you recommend sticking with only reputable breeders? Hi Anne, so many people choose to adopt a puppy or dog from a shelter, and end up with the most amazing wonderful dog. Adopting and rescuing dogs is so important, every dog deserves a loving home. I myself do not have any experience in rescuing dogs, Ellie is my first dog and I chose a reputable breeder. In my opinion, for first time dog owners, I believe it would be better to research your breed first, and choose a reputable breeder. I only say this because you never know what kind of dog you will end up with from a shelter (their history, and personality), and it could prove troublesome, and challenging for first time owners who are inexperienced. All these puppies are so cute, I think I’d have a hard time choosing. Of course, you’re right with advising to first think about what kind of dog will fit in our environment. Too many dogs are left alone in some street because the owners can’t handle them. I guess often because they just saw the nice puppy when they bought, and didn’t think what will grow out of this pretty baby. We only take dogs left in the street, there are too many here too, and some of them we can provide a new home. Hi Stefan, yes it is unfortunate that many owners only see a cute puppy, and do not realize that the puppy grows up and it requires a lot of work, training, patience, and love. I think it is great that you are helping rescue dogs, or dogs left in a shelter, and providing a new home for them. So many dogs are put up for adoption, and need a loving forever home. What a great idea to visit the parents of the puppies. That is such a great idea to see the temperament of the parents could be a window into how the puppy will be when grown. I have always picked my puppies purely on feelings. Which one did I fall in love with? Which one seemed most interested in me? LOL! Not scientific at all. So far, it’s been fine, but we are definitely getting another puppy, and I am going to take that advice. Thanks. Thanks for your comment. So many people, when choosing a puppy, tend to pick the one that comes to them right away. It’s almost like the puppy chose them, there is nothing wrong with that at all, but if you really want to have a compatible puppy, then you should spend time observing them to see what their personality is like. When I was at the rehab center for therapy, I watched the Animal Planet. I learned so much about what kind of puppy to get and how to take care of them. What are good family dogs? I never heard of picking a puppy from the litter. What’s the litter? Hi Roger, thank you for your comment. A litter is the offspring of a female dog, a litter can be used to describe the offspring of any animal that gives birth to more than one. 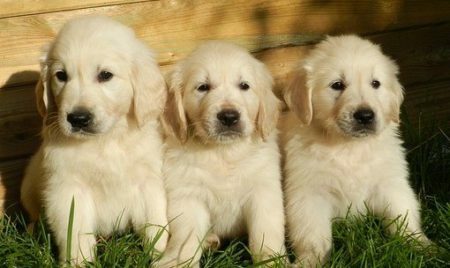 When someone picks a puppy from a litter, it means they are choosing one puppy from multiple puppies of the same mother. In regards to your question about good family dogs, there are many, and you need to first determine your lifestyle and how much time you can give to a dog. You need to research the type of breed that you are interested in, and learn about their personality traits and temperament. Hi Susan, thanks for your comment. That’s wonderful that you have 4 dogs with 4 different personalities. I’m sure there is never a dull moment. Thanks for sharing. As a dog lover, I can attest that this is a very good, very in depth explanation as to what is needed when acquiring a new puppy. I have personally done most (if not all) of these things and there is still stuff I’ve learned from reading this. I will certainly be able to share this to others as a great reference if they need to pick their next puppy from a litter! Hi Ryan, I’m glad that you have done most of the things mentioned when you picked a new puppy, and that you have learned a few things. Thank you for your comment. Love this article! We are long time dog owners and in fact I’ve had a dog in my family most of my life. Recently (last year) we got a White Boxer. We have had Boxers before and in fact had 2 before our latest. We picked him from a reputable breeder and everyone liked the ‘boss puppy’. I know, I know we are in for a treat. He has been a handful, but now after a lot of work and obedience school he has turned out to be wonderful. Those categories of puppies really are true. Thank you Stew for your comment. So many people go for the “Boss Puppy”, because it’s usually the puppy that comes to them. Puppies are always a handful, I am glad to hear that he has turned out wonderful. Thanks for sharing. Dogs truly are wonderful companions, but require a lot of time and patience. I am glad I was able to give you a better understanding of the different puppy personalities. Another great tip I can offer you is to get a puppy in the Spring, that way you are not “potty training” in the cold winter temperatures. I got my dog from a dog breeder. It was the first time going to one. She is a collie (Lassie dog) and she was the alpha puppy for sure. I didn’t know it at the time though. Actually I knew nothing about alpha dogs. It’s been 12 yrs and I love her more than anything! She has mellowed out through the years. If I had read your article about alpha dogs beforehand, I would know about her traits as an alpha. I love how you lay out all the info and explain about the different breeds. Dogs are so much fun and great to have! I began engaged in your website and puppy pics. Dogs are the best! Thank you Jennifer for your comment. I believe that no matter what personality type you choose, you will learn to work with it, and fall in love with that puppy. Puppies really do start to mellow out around 2 years of age, and the time goes fast, we start to miss the puppy stage, but are blessed with a wonderful loving dog. Hey there! Thanks for creating this guide for new dog moms. I agree with the tips you have outlined. I always choose a puppy that is low energy and not the most hyper of the litter because they’re going to listen better since they are settled by nature. Also they will still be active but not overactive where it becomes overwhelming. Hi Marlinda, I also chose a calmer less hyper puppy, because as a first time dog mom I wanted an easy going dog. Puppies will always have high energy and be hyper, and will definitely keep you on your toes. Thank you for your comment.